The internet’s burgeoning community of music theory obsessives is an interesting one. YouTubers like Adam Neely, 12tone, Sideways and June Lee, are leading the charge in making musical analysis cool. Every community has its heroes and legends, and this one is no different, with musicians like Jacob Collier (proclaimed, rather unfortunately by a number of critics, as the ‘messiah of jazz’) often being in the centre of community discussion, due to their out-of-left-field new theories about jazz harmony. One such pedestalled figure is Louis Cole, an LA-based multi-instrumentalist, known for being one half of the electronic, jazz-fusion duo, KNOWER. The main attraction of Cole’s music is the way in which he crafts complex, out-there chord progressions whilst staying true to the fundamental catchiness and groove-heavy style of funk music. This winning combination took Cole from internet oddity to collaborations with Snarky Puppy, Thundercat and Seal, and most recently, landed him a record release with electronic music guru, Flying Lotus’ label, Brainfeeder. Time is Cole’s third solo release and his first with a significant record label. It’s also an incredible showcase of his song writing ability and instrumental prowess. Above all, however, Time is an expression of genuine emotion in an aesthetic that has garnered a reputation for a lack of emotionality in favour of technical complexity. Cole’s music is proof that being intricate and virtuosic is not the polar opposite of authenticity. The sonic palette of Time is a very specific one. Cole is a very talented drummer and keyboard player, so it is not unexpected that nearly all of the music on the record is dominated by heavy bass and synth grooves, harmonised to the fringes of jazz-fusion convention. On the more energetic numbers, this makes for an ecstatic, heart-thumping listening experience, whilst the quieter tracks still make use of these heavier grooves and harmonic extensions, but the softer approach and less harsh synth sounds have the potential to elicit authentically powerful emotional responses. Cole’s vocals are aesthetically unremarkable. Unlike his stylistic contemporary, Jacob Collier, he doesn’t do anything flashy with his singing. Instead he opts to style his voice as if it were just another synth line, distinguished only by the fact that it is able to convey words. The enforced simplicity of the vocal line allows for a much greater focus on the way in which his bonkers countermelodies interweave with one another. In that same vein, the album’s two guest vocal features, by Genevieve Artadi and Thundercat, employ the same sense of simplicity, which has the ultimate effect of sounding as if Cole has altered the synth’s timbre. The other two guest spots on Time are allocated to jazz pianists, Dennis Hamm and Brad Mehldau – for many a jazz fan, the latter’s fiery solo on ‘Real Life’ will be one of the record’s highlights. There’s a clear pop sensibility on Time. The tracks are incredibly catchy and danceable (ugh… what an awful word), but for those looking for their music to be pushed to its technical limits, there’s a huge amount here into which you can dig your fingers. 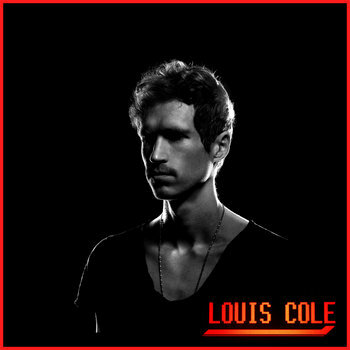 Louis Cole’s music is fundamentally relatable in a multitude of ways. It uses complex musical ideas to craft something catchy; drawing out visceral physical responses from the listener, whilst being honest about its own inherent neuroticism, and then responds to that neuroticism with a massive middle finger to the rest of the world. So, whether you’re a music nerd looking for a challenge or just someone searching for something honest, and a little out-there, then Time might just be what you’ve been looking for. Time is available on all digital music platforms. Please support musicians by purchasing their music!